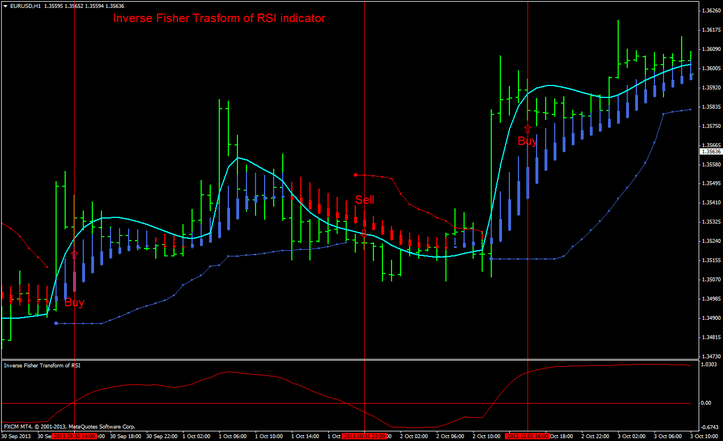 Inverse Fisher Trasform of RSI Trading System is based on the Fisher function with other indicators trend following. 4. Go Short when the price retraces on the Jurich filter. 4. Go Long when the price retraces on the Jurich filter. Only enter trade with all 3 indicators confirmation for perfect signal. You should put stop loss on previous candle high or low. Also trailing stop could be applied or Profit Target predetermined (time frame: 60 min 20-25 pips, time frame 240 min 30-40 pips, time frame daily 70-80 pips). We simply exit trade when Bollinger Bands indicator changes color against our trade. 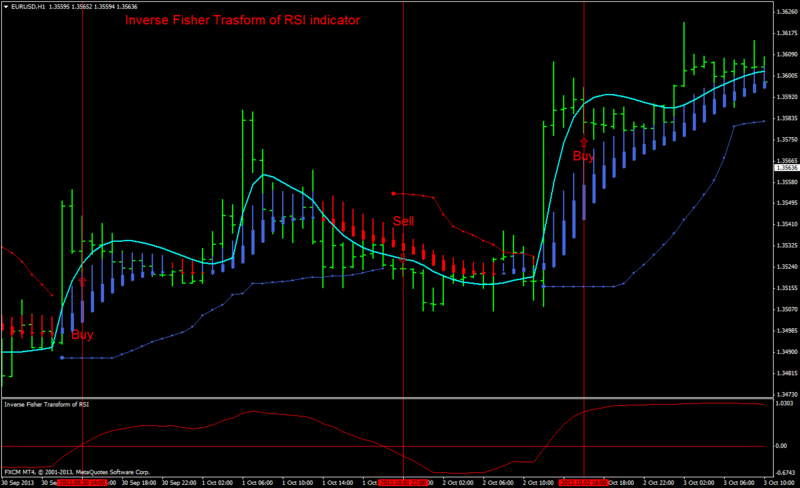 Inverse Fisher Trasform of RSI Trading System Template and indicator. Inverse Fisher Trasform of RSI indicator MT4.